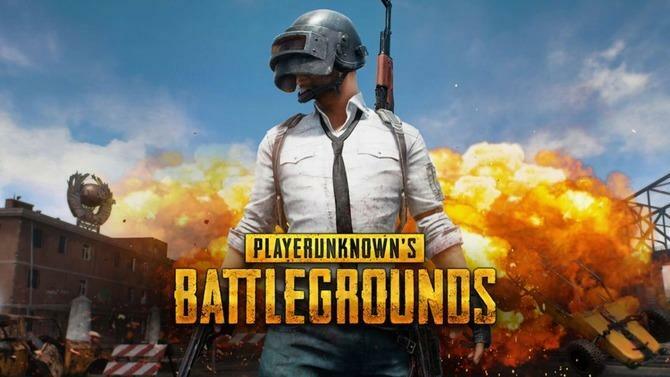 The Fatwa Committee of Sulaiman from the Iraqi city of Sulaiman in the Kurdistan Region has issued a “fatwa” against the popular PlayStation 4, Xbox One, and PC multiplayer shooter PlayerUnknown's Battlegrounds, sparking outrage across the globe citing “familial value” interferences. Online gaming on consoles has reached an extraordinary success across the region, due to the extreme real-life violence outdoors. To the surprise of most Americans, Iraqis actually <i>are encouraged to play video games</i>, because it can keep children safe from random insurgent violence or US bombs and tanks that often kill children. According to Iraqi local news<a href="http://www.kurdistan24.net/en/culture/fbcb2390-f9e5-4acc-a04f-b599a3e23904"> <i>Kurdistan 24</i></a>, the fatwa against the popular game available on Xbox One, Playstation 4, and PC is meant to benefit the Islamic people by preventing degeneracy. The gaming fatwa is seemingly <i>intended to limit the usage of the activity</i> versus completely abolish it. The logic makes sense, as <i>some</i> Imams arguing that the game distracts a Muslim from his or her obligations, and apparently, Marxist indoctrination has taken grasp even in Iraq. To prove this claim, one woman says she wants to <i>divorce her husband</i> over his addiction to the game and not paying attention to her. Apparently even Islam has a <i>thot problem</i>. Who'd have thought? The game is embraced by <i>the more liberal Muslim leadership</i>, which is not a surprise. Muslims have condemned the game in numerous ways, with some Islamic YouTubers taking a harsh stance against PUGB, openly critiquing the “anti-Islamic values” they claim it portrays. Not that you can blame Islamic traditionalists who disavow most of mainstream zio-Marxism, or the side effects of exposure to such degeneracy. At the same time, <i>online video games are a global phenomenon,</i> and encourage a healthy fork of socializing with those across the globe for either pleasure or competition. There are reports the game has created relationship problems for people obsessed with it. One couple reportedly divorced after the wife refused to donate blood to her husband during the game, instead of giving it to another unknown player. “Islam rules that wasting time for no reason is haram. This game falls in this framework and a mounting number of people in Kurdistan are obsessed with it, without it having a benefit for these people and those around them,” said Rasheed. With regulation, most Imams believe that the game can continue to be played, as long as those playing it limit their usage. Besides, if you have a wide covered head-to-toe in a hijab, chances are she's not going to back talk and complain. PRESIDENT TRUMP DIES IN ISIS EXPLOSION!!!!!!!!! !